They've reached hope's end in the town of Hope's End and are desperately in need of a miracle. "The stories in this novel will grip your heart to cry out for breakthrough in ways you've never dreamed were possible. God's calling you to bring hope to a lost and dying world. You are the light on the hill, a city that can't be hidden. You are the light at hopes end!" 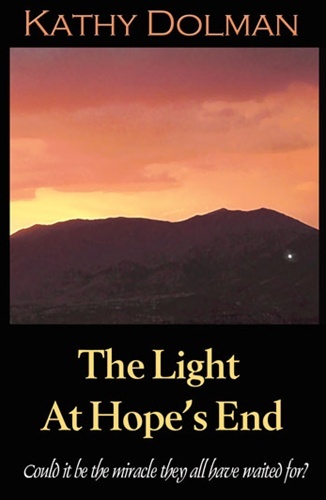 "This unparalleled fiction novel sheds light on the spiritual element taking place among us even when we are unaware. Written out of true-life experiences, the author relates to the reader's unquenchable search for something more." Kathy lives in Dupont, PA with her husband, Jerry. They have two sons, Jerry Jr. and Kevin. They attend Full Gospel Chapel of Avoca where Kathy serves as church secretary. She has a deep passion for prayer. She holds an associates degree in Journalism.